Summer! Sweet summer! I have such fond memories of summers. Having all of that time to myself to do whatever I wanted to do was paradise. No school, no assignments, no pressure. It was great. I like to make sure that my (and your!) 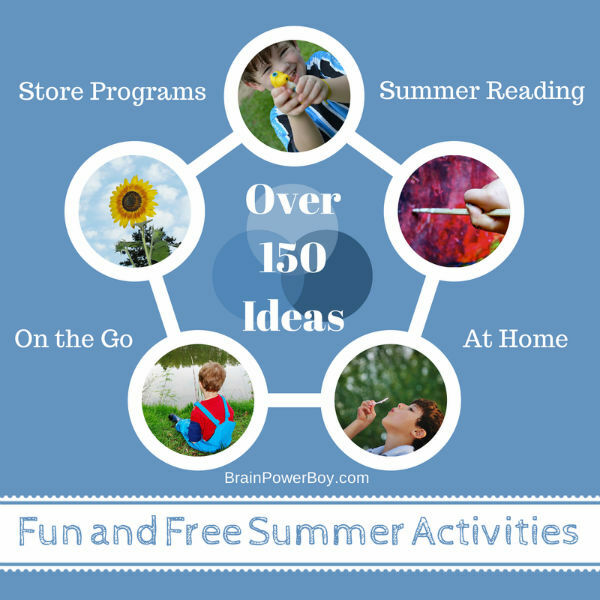 son’s summers are great too and I gathered over 150 fun and free summer activities for boys to share so you are sure to find some fun things to do with your boys this summer. Take a look at our lists while keeping your boy in mind. What does he really like to do? What would engage him and get him learning? A lot of learning happens when boys are having fun playing! It is always nice to make a list of what you and your family want to do over summer so that the time doesn’t slip away. Each person in our family is contributing to our list so everyone gets to do their favorite things. We compiled this big summer activities list based on things we have done in the past and things we are hoping to do in the future. Did I mention they are all free? We like free! Don’t forget to take plenty of time to hang out and do whatever your child feels like doing. This is super important. Oh and . . . “I’m Bored!” doesn’t necessarily need to be fixed. 🙂 Being bored usually leads to awesome learning opportunities. Use the links below to access all of the fun activities for boys! I broke it down into sections so it is easier to manage and you can quickly find what you want. The best summer reading programs that are actually worth doing! Stores have free programs and many will appeal to boys. We picked the best ones. Be sure to register ahead of time so you can get a spot. Summer offers a lot of free time and this gives you and your boys a great opportunity to get out and try something new. Here are some wonderful ideas for you. 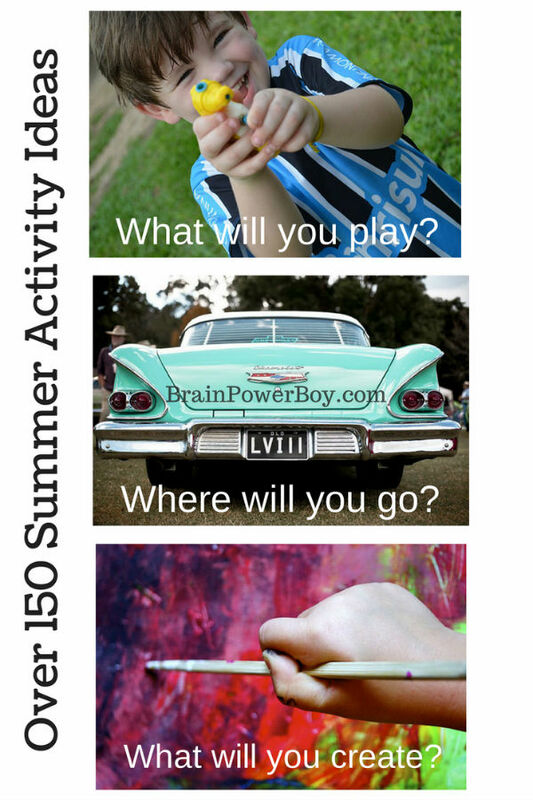 Fun and Free Summer Activities for Boys, Part 2: On the Go! Getting out and trying something new is always fun but some days all you want to do is stay home. We’ve got you covered! Boys’ learning and play go hand and hand. So much learning happens when boys are doing things that matter to them. Use the links above to plan your summer and if you have a moment, take a look at the articles on boys’ learning styles as well to find out what types of things your boy may enjoy. 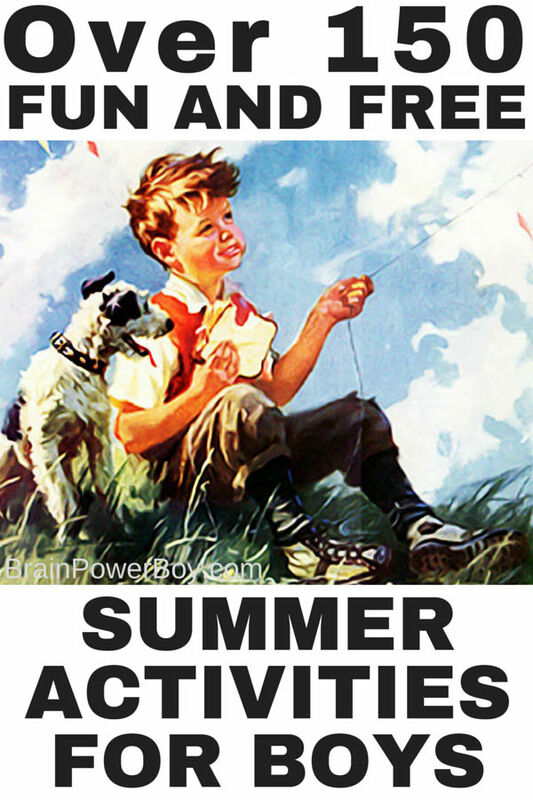 I hope you like this list of summer activities for boys. Yes, you will likely hear “boredom doesn’t necessarily need to be fixed” from me a lot! I always find that children need space to find what they would really enjoy doing. Sometimes that space is a bit boring but usually if you can wait it out they find something wonderful to do. If my son were younger, I would SO love to have had this of fun things for him to do. Thanks for sharing! They grow up so fast don’t they? I like having a list so that we actually do a few things and the days of summer don’t just slip away. Thanks for stopping by. This is such a great page! I can’t wait to work through all these great ideas with my kids. So many fabulous summer ideas all in one place – I’m pinning these so my friends can see them too! Thanks Clare! I appreciate your nice comment and the pinning as well.